In a vault in Basle, Switzerland, lie some of the most politically sensitive documents of the Second World War. Historians uncovering the story of the gold trade that financed the Nazi war machine would love to have sight of them - not because they will provide further evidence of Swiss guilt in the trade but because they could expose other countries involved, including Britain. In the saga of Nazi gold, it is always the Swiss who are to blame; the Swiss who were prepared to accept bullion looted from the victims of German oppression to the extent that the war was prolonged longer than necessary. But if the historians are right, these papers will go to the heart of the British financial establishment and raise questions about the allegiance of one of the most powerful figures of his day, former Governor of the Bank of England, Sir Montagu "Monty" Norman. Academics believe the archive will show that the Bank, led by Sir Monty, bent over backwards to help the Nazi war machine. In an age without television and media access, Norman's was a household name. Famed for his supercilious manner, bad temper and contempt for the political leaders of his day, he was a banker's banker, whose aim was to create a network of central bankers like himself, free of the control of governments. That, at least, is one explanation for Norman's behaviour in the years before the Second World War. There is another: that Norman was a German sympathiser, who wanted to ensure the German economy could fuel the country's war machine and that the Nazis had an outlet for their looted gold. So concerned were the Americans about Norman that in the summer of 1942 President Roosevelt sent a report on his activities to Sir Winston Churchill. The British Prime Minister asked Anthony Eden, his Secretary for War, to look into the American concerns, in particular the allegation that Norman had met Hjalmar Schacht, a senior German official in neutral Sweden, in May 1941. Herr Schacht was thought to be trying to broker some sort of peace deal. Norman was his chosen conduit. Papers filed in the Eden archive at Birmingham University reveal what must have been an unprecedented exchange: Churchill's right-hand man quizzing the Governor of the Bank of England about his allegiances. Norman denied seeing Herr Schacht for over a year. For Churchill, this was not good enough. In a memo to Eden, the Prime Minister pointed out the war was now three years old, not one year. Norman's answer, thought Churchill, was inadequate. He instructed Eden to dig deeper. But at this point, the file goes dead: what further details Eden extracted from Norman are not recorded. Typically, Churchill did not want the Americans to know of his concerns. They were sent a bland reassurance that all was well with Norman. So what was the Governor up to? Scott Newton, lecturer in modern history at Cardiff University, says there is "nothing in the file to clear Montagu Norman of the American charge". He was rightly suspected, says Newton, of being involved in "an unsavoury peace deal behind the government's back. Bearing in mind the report came from the US President, it would have relied upon good intelligence." Norman, says Newton, "was trying to prevent the war developing to the point where the Bank of England was in danger of losing the prestige it had built up between the wars. Norman had a view that the world ought to be run by central bankers. He was not in any sense a democrat and he was worried the war would undermine the contacts he had created." Churchill, says Newton, "could not stand him; he distrusted him enormously". 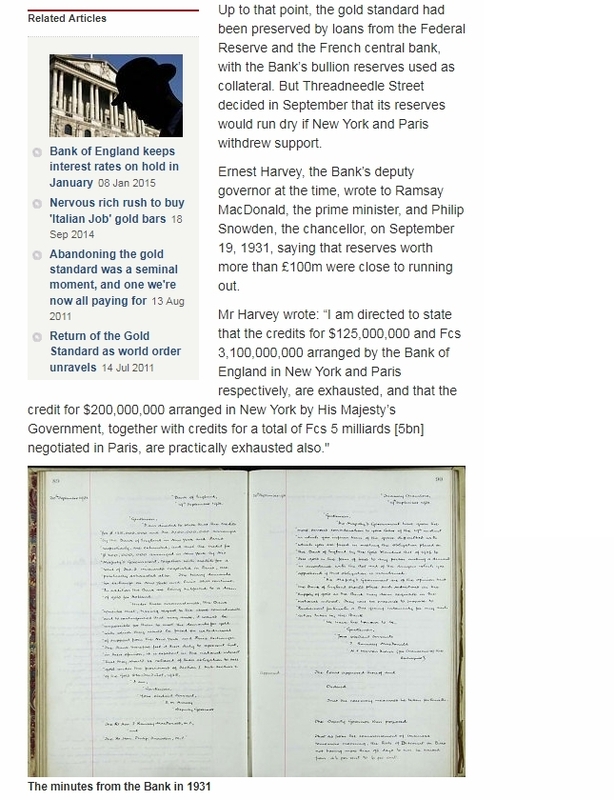 The extent of the Bank of England's involvement has still not been disclosed. Documents from the period have convinced several historians that the Bank, through its redoubtable Governor, played a pivotal role. But the records which could reveal the detail remain inaccessible to historians in the Bank of International Settlements based in Basle, Switzerland. Established after the First World War to smooth the system of compensation by Germany to the Allies for the conflict, BIS is a bank for central banks. It is more than a mere mechanism for moving money between governments, however. The meetings of its board are talking shops for the world's most powerful financial figures, a club where they can talk without interference from politicians and government officials. One of its most influential members in the years before the Second World War was Sir Montagu Norman. On 15 March 1939, Hitler completed his rout of Czechoslovakia, making a triumphant entrance into Prague. One of his first acts was to order the directors of the Czech national bank to hand over the country's gold reserve. For Hitler, the Czech gold was a vital replenishment of rapidly dwindling reserves. An increasingly isolated Germany needed gold to barter for raw materials. 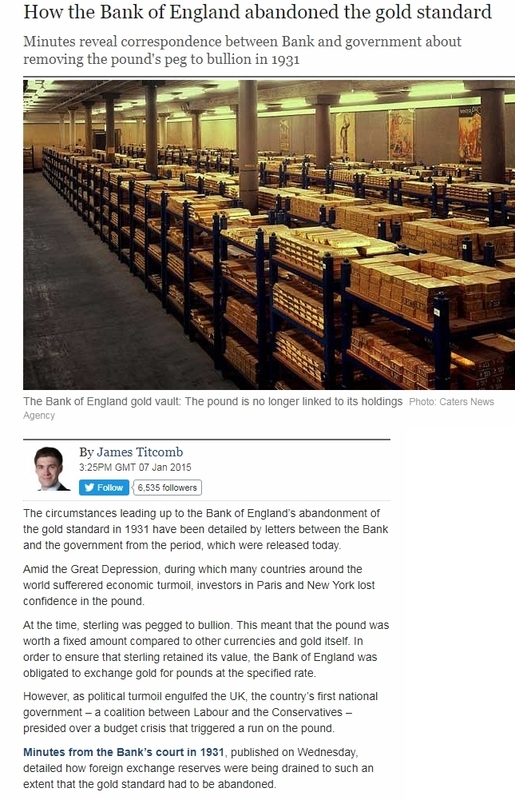 The Czech directors told the Germans it was too late; the gold had already been deposited via BIS in the Bank of England. The Germans ordered them to retrieve it. BIS did not deal in physical transfers of money or bullion - most of them took place on paper, by central banks adjusting their accounts with each other. The Czechs called BIS, which contacted London. 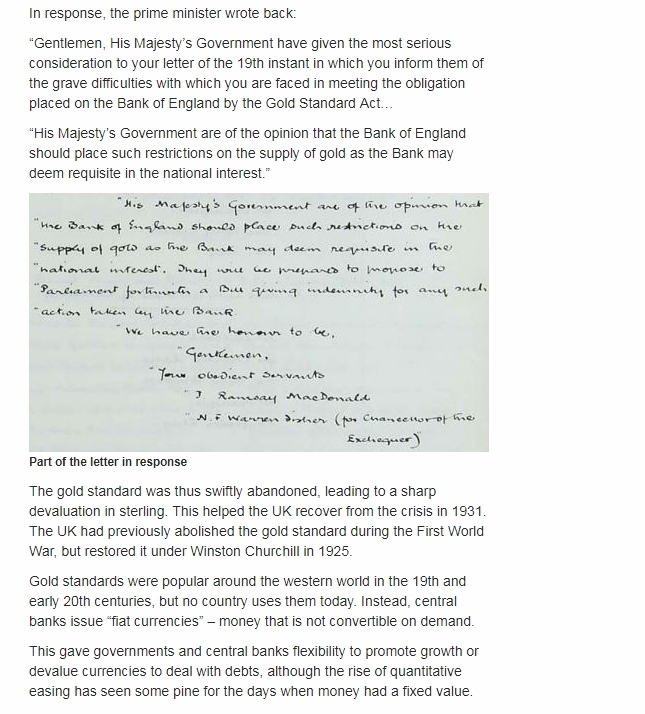 Norman obliged, instructing BIS to deduct the gold's value, some $40m (pounds 24m) at 1939 prices, from the Bank of England's account in Basle. The gold went back to Czechoslovakia, and to the Reichsbank in Berlin. News of the trade did not leak out for two months. Then, in May 1939, prompted by a tip from a journalist, George Strauss, the Labour MP, asked Neville Chamberlain, the Prime Minister, if it was true that the national treasure of Czechoslovakia was being given to Germany. The Government, advised by Norman, said it was impossible to determine who was the real owner of gold that passed through BIS; that the Basle institution was heavily protected by international protocols; and that as a banker for central banks, its dealings had to remain confidential. In fact, Norman knew all along who was the rightful owner of the gold. 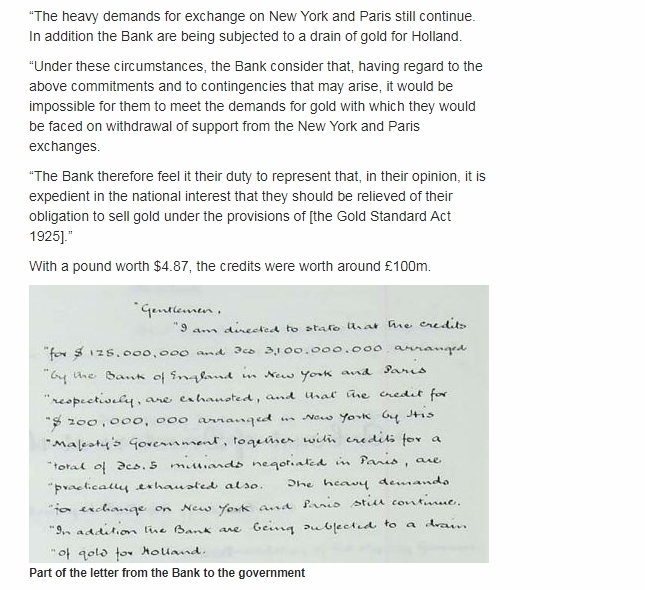 He had told a Whitehall committee on 22 March 1939 that he had received a call from the Governor of the Bank of France, on behalf of BIS, asking for the return of the gold. "We did absolutely nothing," says historian Scott Newton. "Here was Czechoslovakia that had been invaded, and here was Monty Norman approving the transfer of its gold to the Reichsbank." Norman's agreement, says Newton, was no surprise. "Monty Norman and the leading merchant banks in the City were up to their necks in helping to prop up the German financial system. The Germans owed a lot of money to British banks." The bankers did not want the Americans to emerge from the war with the upper hand, economically. Dr Neville Wylie, research fellow in Modern History at Cam- bridge University, says "there was a strain of German sympathy within the Bank and the City. The alternative - of dealing with the rampant capitalists across the Atlantic - did not appeal." How far that sympathy went, beyond the Czechoslovakian deal, will only be revealed when the BIS records are finally opened.